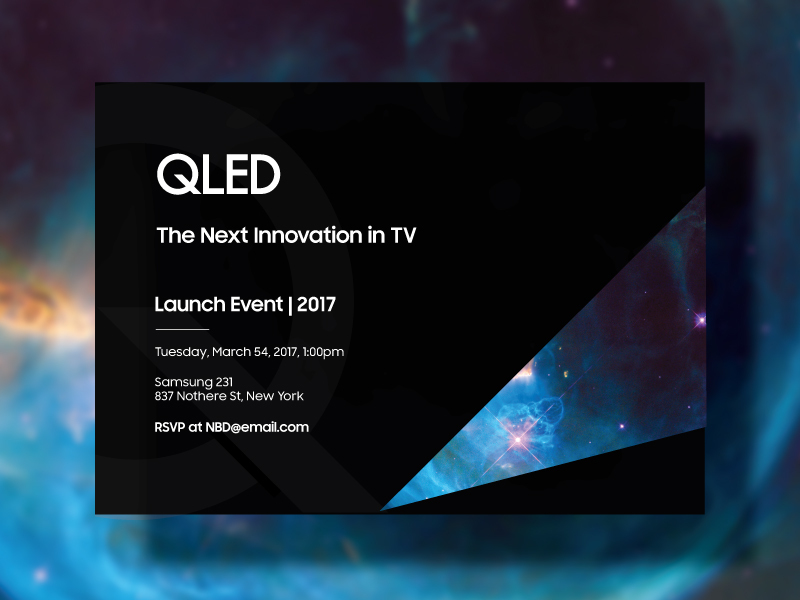 Over the course of three months I worked as the sole design source for all collateral needed for the 2017 QLED TV launch at Samsung 837 in New York City. 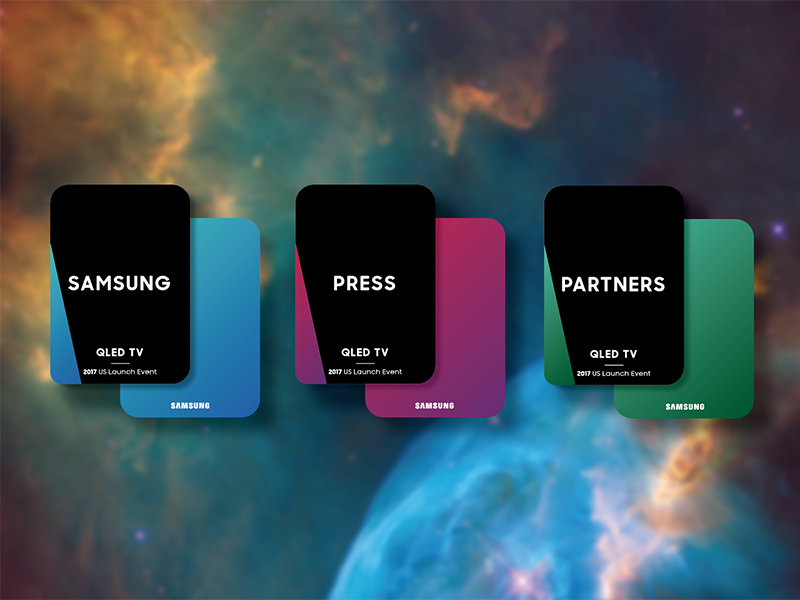 Design collateral included invitation design, credential design for Samsung employees / partners / press, as well as working directly with the Samsung team day-to-day on the event presentation design. This project was done while working as a designer for Allison+Partners.